I am a big user of reusable grocery totes, I have them in both of our vehicles so no matter what I am driving they are there. The thing is I hate carrying a "big ole bag" when I'm just picking up a few things. That's what makes the Envirosax Bags from ConservingNow so great. They fold up into a compact 4" x 1.5" roll when not in use, then when you are ready to use them you just unroll and you have a 19.5" x 16.5" fashion bag that can hold up to 44lbs. This even makes it great when going into a little nicer store than toting around a big eye sore of a grocery tote that won't fold down too. I love how I can just drop this tote into my purse when I am done using it and not even notice it's there. Then when I forget my grocery totes in the car, or just need one bag I have it right there ready to go. I've had several complements on the bag already when pulling it out to use at the checkout. I like how the bag included picture instructions on how to properly refold it, I always struggle with refolding bags down to their original size so this was helpful for me. 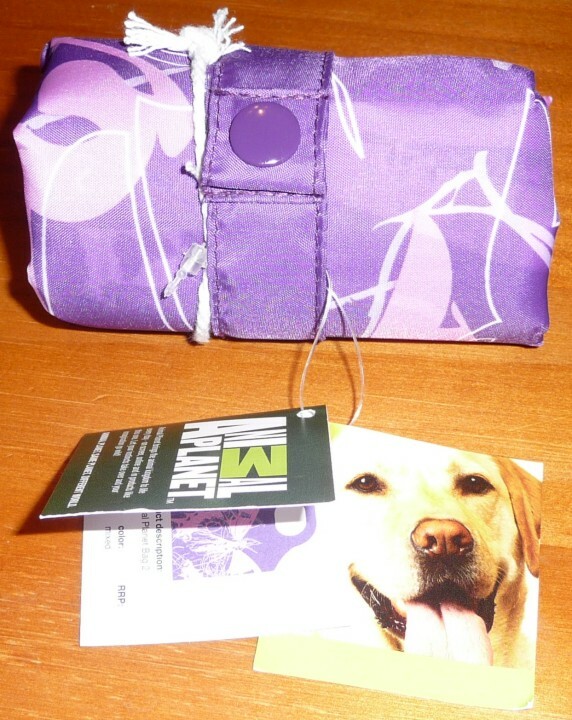 Envirosax® designer reusable bags are spreading the eco-friendly message with style! A thoughtful, eco-friendly gift for teachers, friends and family! Many unique styles to choose from! Tested for safety, super strong (holds up to 44 lbs. ), water-resistant and fully washable without fading. Perfect gifts - or gift wrap! See this video demonstrating wrapping gifts with Envirosax® bags. Plastic bags cause a lot of problems for our planet and we're eager to do our part in eliminating this nuisance. That's why we've created a line of reusable bags you can use in place of plastic bags. And since we can all use a little reminder to transform our intentions into reality, we've also designed a number of household products to remind us to always "bring our bags." On ConservingNow you can join our campaigns to help our planet, or you can browse our site to find helpful tips, information, educational resources, products, and opportunities that will help you be greener. Our first campaign is to Reduce Plastic Bags Use. Read about the problems plastic bags cause our environment here. And then begin our 4-step plan to reduce this severe environmental problem. 100% of our profits fund our Classroom Education Kits. You can participate by helping sponsor this program, or even purchasing a kit for your own child's classroom. Win it: One lucky reader will win an Envirosax Single Bag from ConservingNow of their choice here. This giveaway will end March 29th at 10 PM EST. The winner will have 48 hours to respond to my email. If no response, a new winner will be chosen. Open to residents of the US. Mandatory Entry: (Mandatory entry must be completed first or bonus entries don't count.) *Tell me which bag design you'd choose if you won. Disclosure: Thanks to ConservingNow I was provided with this product(s) for the purpose of my personal review. This blog post is not a paid post and the honest opinions stated are my own. I am a follower of your blog, I follow you on FB and follow Envirosax on FB!!! abigailearly@gmail.com. Thanks so much for the chance! Mikado bag 1 Red is my favorite! I follow you with GFC, like you on FB, and like envirosax on FB! I would choose the bloom bag 4. I love envirosax! I love the Bloom Bag 1! It's got gorgeous flowers . I would choose the Candy Bag 1. I follow Envirsax on Twitter! I like Envirosax on Facebook! Love the Mikado Bag 5-Mushroom, the Kids Bag-Rusty, the Bloom Bag 4, and the Slingsax Bag 1. Lol. I love bags, can you tell? Follow Envirosax on Twitter too. And like them on FB. Am a fan of yours on FB as well. So many great choices. I like the La Boheme Bag 1. My favorite Envirosax bag is the Botanica 4! I follow you on GFC as ChamboriDri! I follow you on Twitter as @ChamboriBlog! I like you on FB as A.C. Cabrera! I follow Conservingnow.com on Twitter as @ChamboriBlog! I like ConservingNow.com on FB as A.C. Cabrera! The Milkado bag 4 White Squares is super cute! My favorite in their line is the Bloom Bag 5. So many beautiful bags! If I can only pick one, I'll pick Bloom Bag 2. Follow you on GFC as strawberry. I'd pick the butterfly design - it's beautiful! I love the yellow and red combo of the Envirosax - Bloom Bag 4, so pretty! If I were to win I would like bloom bag number 4. They are all very nice bags. There are a lot of great designs that I love, but I'd have to get the dog bag in the Animal collection! I like the bird design. 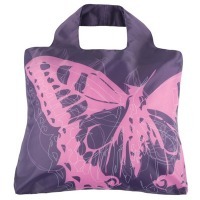 I love the butterfly bag in your review! I would probably get the bunny bag to encourage my kids to reuse too. I am a facebook fan of Conserving Now (Marysa N). I love their botanica bag 3! so cute! I would choose the Envirosax - Bloom Bag 5. I LOVE ENVIROSAX. I always throw in my purse, no matter where I'm going. There is always a use for them! I like the Animal Planet Bag 3 Cat. I'd like the Mikado bag 5. I follow Conserving Now on Twitter (mail4rosey). I like Conserving Now on FB (Sarah Smile). I really like nomad bag 3. I love the different patterns! I like conserving now on facebook as Hannah Rae. I follow conserving now on twitter as hgardner16. I really like Bloom Bag 5. I love Bloom Bag 2 and 3 - it would be a tough choice between those 2. I would love the Mikado Bag 5 Mushroom! I follow conserving now on twitter! I like conserving now on fb! I follow Conserving Now on Twitter @RazzMyBerry. I Luv this bag. And yes I am following you. I am honored. Thanks. I love the butterfly one. I would choose the Envirosax - Animal Planet Bag 3 Cat!! I like the Mikado Bag 5 Mushroom! 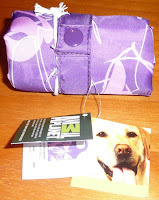 I love the Envirosax - Animal Planet Bag 5 - Dog!